Mapping out a chart win. Next week, look out for new albums and EPs from Cage The Elephant, Lizzo and more. For Adam’s personal picks of the week, listen to the PGTC Friday Faves list on Spotify! We all “Need” a flashback this weekend. This Colorado band has been making hits since 2007, like “Apologize”, “Counting Stars” and “Good Life”. Perhaps they’re about to make a few more! The group’s current radio single is “Kids”, which stands in the top 20 on the Hot AC chart, but, surprisingly finds itself below the top 50 on CHR/Top 40 radio. Can they climb to the top of the pop playground? We’ll see very soon. The New York duo of Sarah Barthel and Josh Carter is back with their first album in over two years. As the title states, this is the act’s third studio effort (and their second for a major label.) Lead single “You Don’t Get Me High Anymore” is still high up in the top ten on the Alternative chart, where it’s their biggest hit since “Fall In Love” (#3) in 2014. We’ll see you next week for new releases from Chris Young, French Montana, Kings Of Leon and more. Here’s a girl who likes to have fun with numbers; she’s one of the only acts to make the charts with two numerical titles. Last year, she entered with “22”, which took a slow rise up to #12. In 2010, it was this hit, which would rise even higher than #15 and peak at #9. It was the lowest peaking of the three pop releases from the Fearless era on my survey. Last time I did an update from the fall of 2009, this was at #2 on the weekly chart just before a five-week run at the #1 spot. It’s a classic, and still gets a significant amount of Adult Contemporary play today. Bublé just won a GRAMMY Award a week ago for Best Traditional Pop Vocal Album for To Be Loved. He remains on tour through summer 2014. In 2002, Jones burst onto the scene with Come Away With Me, a pop and jazz album that swept that GRAMMYs in 2003. “Pirates” was her last chart hit to date, although she did release a solo album two years ago titled Little Broken Hearts and an Everly Brothers tribute album with Billie Joe Armstrong of Green Day, Foreverly, late last year. He’s one of the most successful runner-ups in American Idol‘s history, and it doesn’t hurt that we share the same first name. “Whataya” was the second single from For Your Entertainment and it entertained me to the point of two weeks at #1 that year. Thus far, Lambert’s charted four songs. His most recent, “Never Close Our Eyes”, hit #15 in 2012. Here’s another Adam in the countdown – you can’t have too many of them, or maybe you cane. Adam Young was 23 at the time when he totaled six weeks at #1 with his debut on my survey, “Fireflies”, which at this point was on the decline. The Minneapolis singer would return to the #1 spot for two weeks with Carly Rae Jepsen on “Good Time” in 2012. Here’s the second act from American Idol in the top ten this week; Chris Daughtry came in fourth place on the fifth season of the program. He and his band were right in the middle of his second album era, Leave This Town, their second effort to reach the top of the Billboard 200. Leadoff “No Surprise” was #1 for two weeks, and this was at its peak. Remember this Australian singer and musician who was picked as the lead guitarist for Michael Jackson’s ill-fated This Is It tour? After his death in 2009, she released an album several months later, Believe, and this first single from it rose to #2 on my top 40. She then charted with two other minor singles, “Shut Up And Kiss Me” (#26) and “Courage” (#20). Their days of climbing up the top 40 with this song were certainly “Gone”; it was spending its sixth of eight weeks at #3. 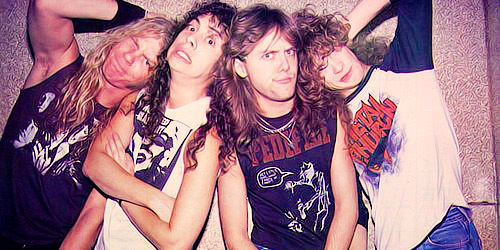 The group has since parted with their longtime record label, Geffen, after an unsuccessful album, Almería, last year. Jason Wade has also expressed putting out a solo effort given the band’s hiatus, but that has yet to see the light of day. Coming off a huge chart-topper in “The Man Who Can’t Be Moved”, an eight-week #1 in 2009, the trio based out of Dublin would also go to the top with this, albeit only for one frame this time around. The group is currently in the studio, presumably putting the finishing touches on their fourth studio album, due later this year. I’m looking forward to it. Grab your ten gallon hat and some twang in your talk because this week back in 2010, Country was king, or shall I say queen. 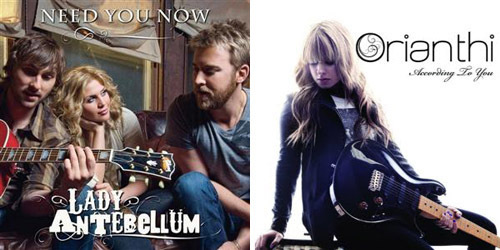 To date, “Need You Now” is the biggest Country crossover ever on my personal chart, spending 11 consecutive weeks at #1 and ending the year 2010 in that same position. “Now” those are some stats. The trio last entered with “Downtown”, which peaked at #23 in March. Their current single, “Compass”, is climbing up the Country chart.